Britain's Most Admired Company is not thinking about this year or next, but decades down the line, chief exec Robert MacLeod said. 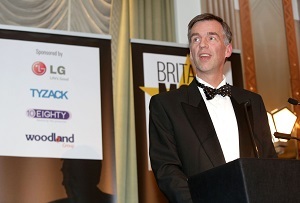 'We may be a bit low profile, but we always deliver what we promise', Johnson Matthey's CEO Robert Macleod said at MT's Britain's Most Admired Companies awards at Claridge's. The chemicals company was named Britain's number one admired business, beating stiff competition from the likes of Next, EasyJet and John Lewis.